Andie Duquette "Lock Stock and Barrel"
NASHVILLE, Tenn. - Sept. 25, 2018 - PRLog -- Country Music's newest superstar Andie Duquette is releasing her highly anticipated new single "Lock Stock and Barrel" through the Spectra Music Group on Friday October 12, 2018. Now available for pre-order, reserve your copy today! Andie Duquette is a Canadian country rock singer from Montreal, Quebec. She's been known to favor a dab of "edge" in her personal brand of country music, whether we talk about her strong and direct "women first" lyrics to some of her more robust songs. You'll find Andie to be somewhere between Shania Twain and Miranda Lambert but there's no mistaking it: this country girl is definitely rock'n roll and she wouldn't have it any other way. Andie Duquette is releasing "Lock Stock and Barrel" as her second single following the success of her first release entitled "Nothin' On Me." 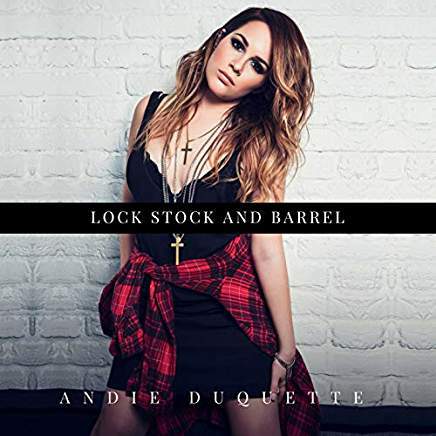 Call and request "Lock Stock and Barrel" by Andie Duquette at your favorite country radio station today!